In His Will Ministries is an interdenominational Christian ministry established to encourage Christian growth, evangelism, discipleship and to serve as helps to the community and local ministries; as well as facilitating foreign and local groups. In His Will Ministries was co-founded by Carmen and Faye McBride and Michael and Vicky Coverdale (the McBride’s daughter) in early 2001. 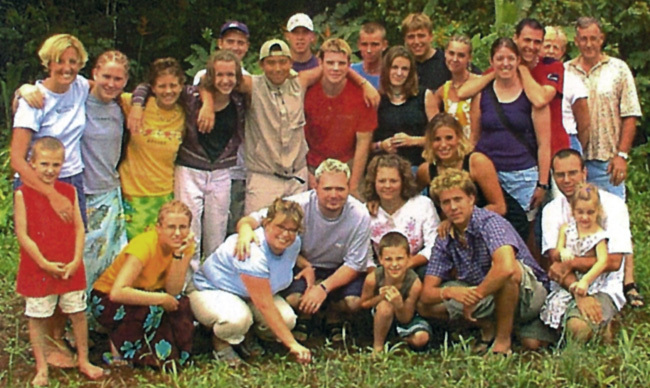 Both Couples felt God’s call to reach out to the people of Belize and have made Belize their home. Both couples have had extensive experience in missions and church work. Our main ministry is our Learning Center. We feel that, besides Christ, education is the key to helping change a nation. We Have a number of different ministries happening all the time! Everyday and every team is different! 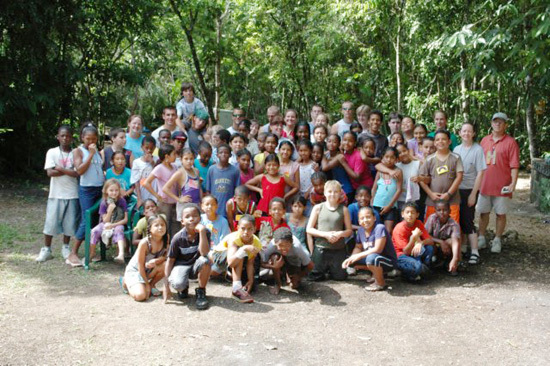 The Learning Center is the heart of our ministry here in Belize. Normally it is just the four us operating this huge blessing. When we have groups with us we are eager to have them assist us! A time for the youth to get together and play games or watch a movie together... it is really just a good time to hang out! Monday and Tuesday Library (signing in & out books), help with homework, computer, games and time playing in the playground Homework nights. This is mainly for the older, high school age kids which don’t get home in time to come to the Learning Center earlier. We try and assist them the best we can with the limited resource books we have. Friday Girls Club - this is for Girls age 13 & 16. This is a time for them to have some "girl" time.... doing crafts and some direct Bible teaching that is geared specifically towards their age group. Kids Club, our “Jesus Time”, has been a great way for us to be able to continually teach the children about Jesus. This time usually includes a coloring time (until everyone arrives), singing, Bible lesson and a craft. Sometimes if we have some treats we will pass them out at the end! Workgroups/Mission Teams are an important part of our ministry here in Belize, not only for the encouragement of the locals but also for the encouragement to us the missionaries! 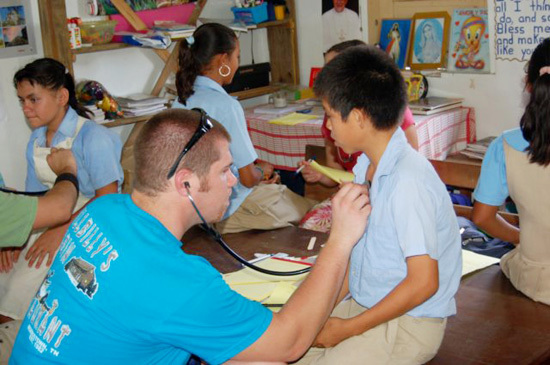 We facilitate many different types of mission teams. It doesn’t matter what your skills we can find a project/outreach appropriate for your group/church. Don’t worry if you have never done anything like this before. We can arrange your entire itinerary and help you keep on track! All our ministry and activities are safe for your entire group! Over the past 6 years there have been so many building projects. Almost too many to name! 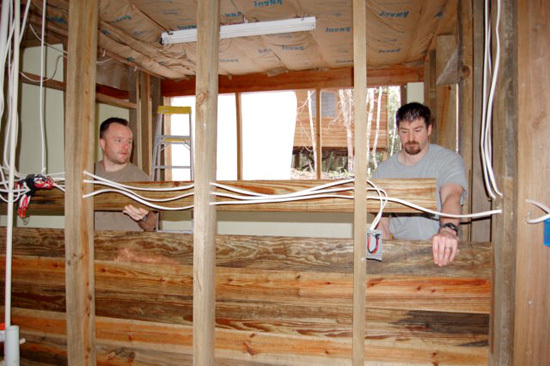 Our projects range from complete house building to simple painting projects. Both Carmen and Michael are basically “jacks of all trade” some say “master of none”…. so almost anything that needs to be done they can do. 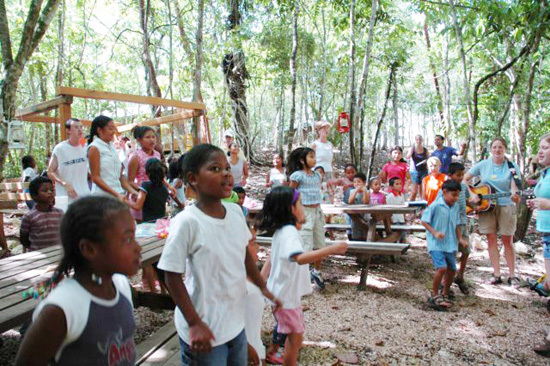 When we first bought our property here in Belize there was nothing but jungle…. no road, no electricity, no water, no buildings. Almost 90% of all the buildings and projects that have been completed on our site have been done by Carmen & Michael. Numerous houses for local families. Water projects within our village (over 3000 feet of pipe). Maintenance and repairs to local family homes. School beautification and renovation within our village and surrounding areas. The Coverdales and McBrides are not supported (financially) by the proceeds of the ministry. 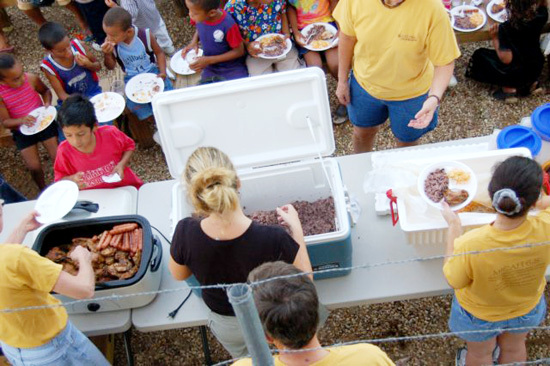 They rely on individual specified donations to support them in their ministry. 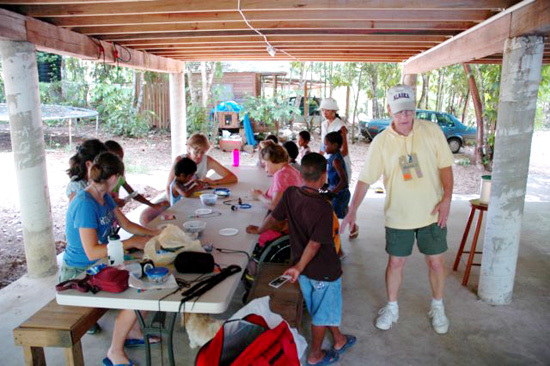 In His Will Ministries is supported mainly by the groups that visit as well as individual donors.